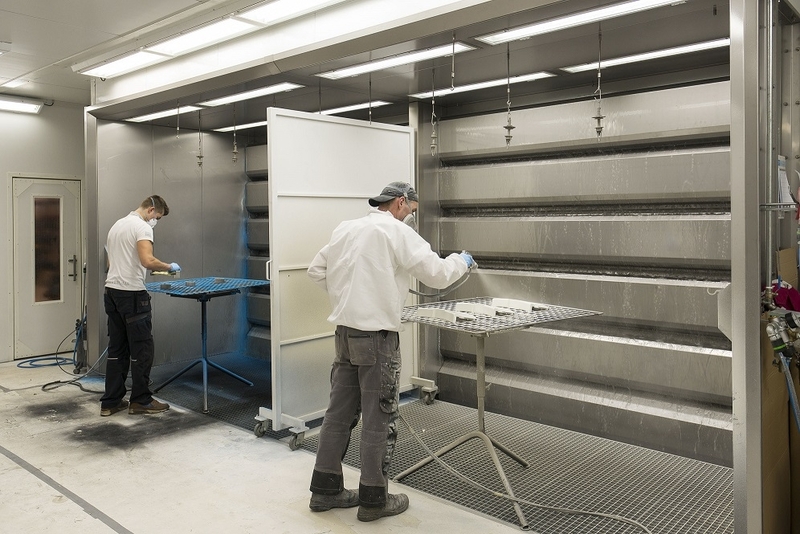 When it comes to overspray flash-off, Soloan can custom-build extractor walls of any size. 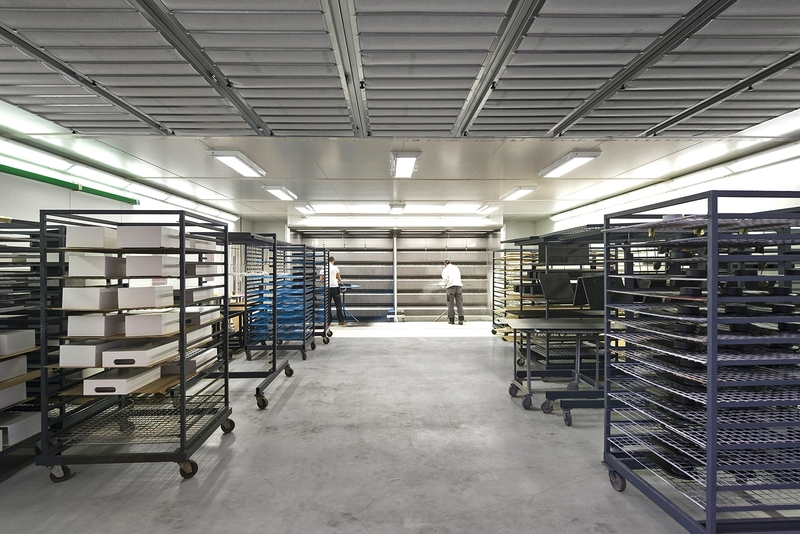 Floor extractors and mobile extractor systems (for large objects) are also possible. 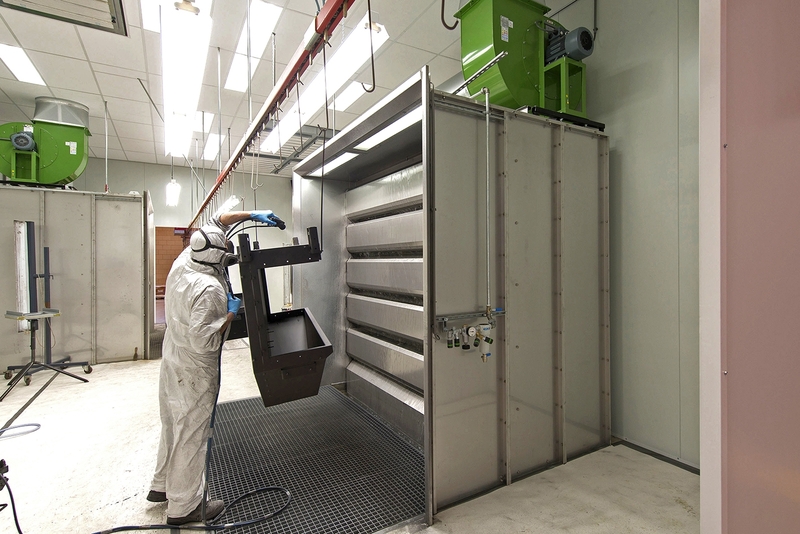 Thanks to our modular system for filter and extraction techniques, we are able to provide your industrial wet coating installation with the capacity to match your available space. 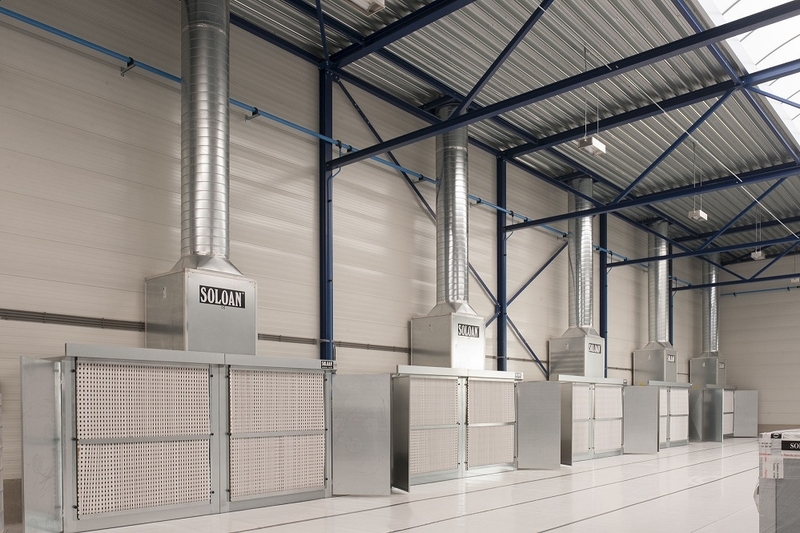 Soloan has specifically developed extra-low extractor walls for coating and drying long, heavy construction parts. As a steel construction company, this allows you to create a relatively low air turnover while still achieving the necessary air velocity, saving you a great deal of energy. In order to supply a room with fresh air, you can use an air replacement unit. 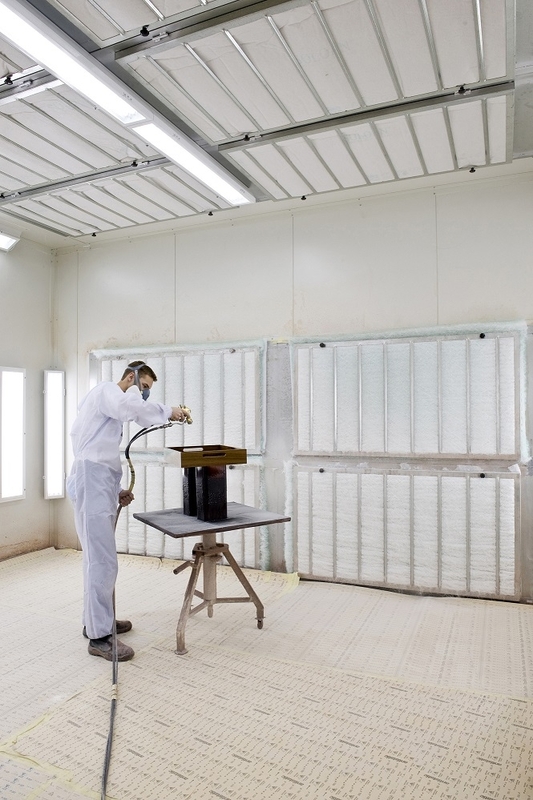 Our air replacement units supply the correct amount and filtering of fresh air and are usually combined with heating (using a hot-water or gas-fired heat exchanger). 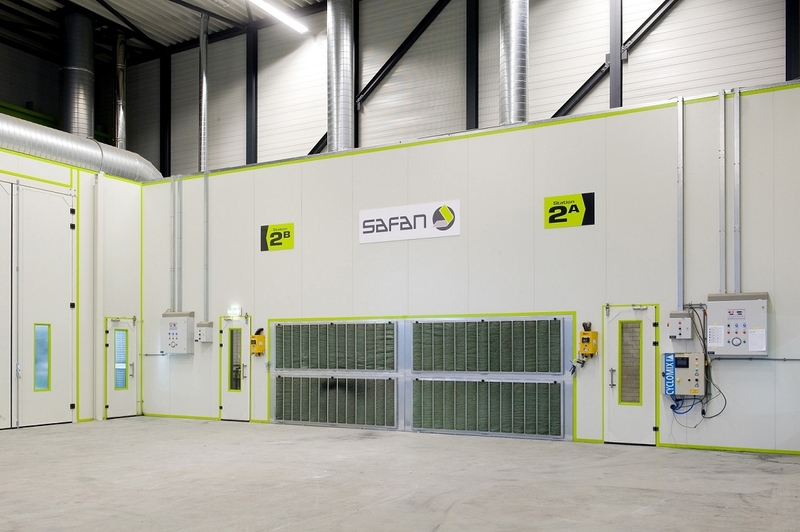 These air replacement units guarantee a minimal CO2 emission and - thanks to their low-energy consumption - an excellent return. 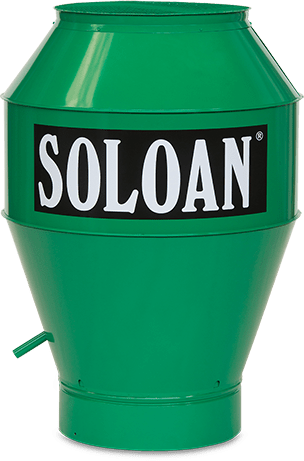 Moreover, the Soloan air replacement units can be equipped with heat recovery ventilation, so that the air supplied is also pre-heated with heat deriving from the extracted air by means of a counterflow plate heat exchanger or heat recovery wheel. This combination generates an even higher return for you.